I’m walking on a snow-covered path in a national forest in Minnesota. 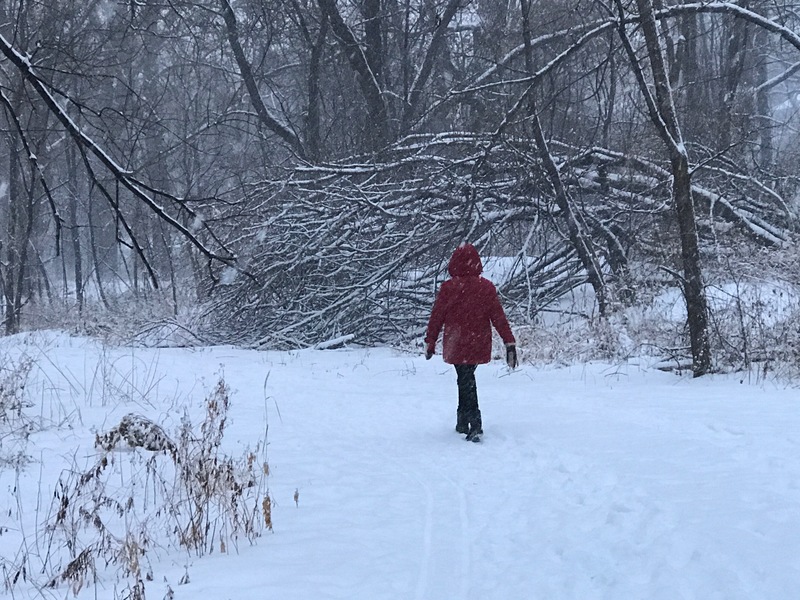 It’s mid January 2018 and the last day of my “snowcation.” In my mind, this walk in the fresh snow was going to be the beginning of a new period of renewal and creativity for me. I’ve wanted to resume creating content for my book and new retreats since before Hurricane Irma hit last summer. My intention for this trip was to have time in nature, clear my head, and reflect. I was looking forward to returning home refreshed and inspired and to write about living an authentic life. But that didn’t turn out to be the case…life had other plans for me. What do we do when we’re walking down one path and then life experiences point us in a different direction? 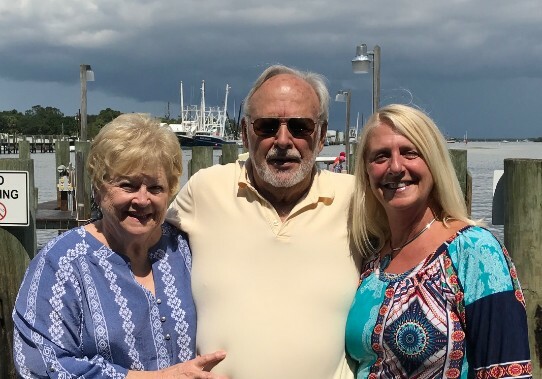 Instead of feeling inspired to be creative, I found myself turned upside down, driving back and forth across the state of Florida assisting my dad in planning, getting settled, and re-organized after the passing of his beloved wife of 38 years. Although I was truly honored to be there for him and the rest of our extended family, I felt overwhelmed, ungrounded and thrown off balance. 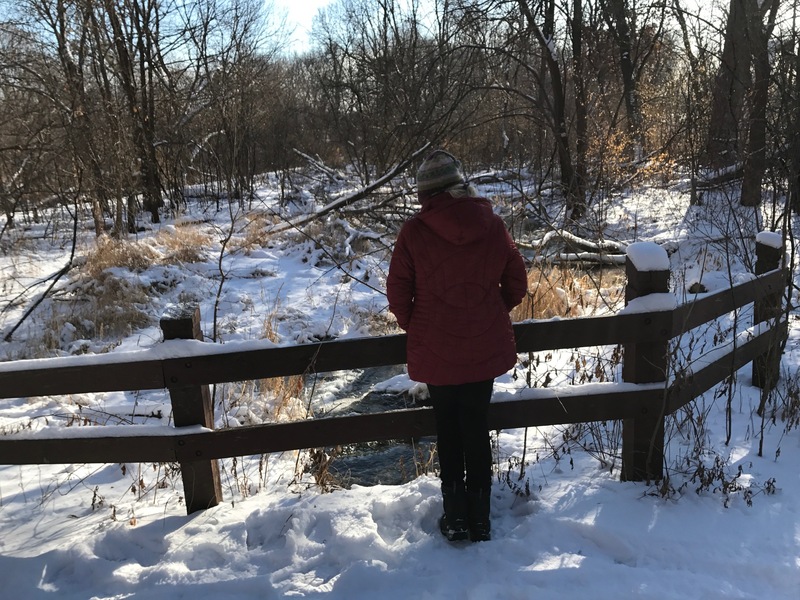 It brought me to a deeper understanding that although I can plan and have goals and aspirations, living an authentic life truly happens from moment to moment. What does it mean to live an authentic life? Authenticity is defined as genuineness….the proven fact that something is legitimate or real. REAL LIFE HAPPENS! You just don’t one day start living an authentic life….it’s a series of experiences. Each life experience takes us deeper and gives us the opportunity to reflect. I often tell my clients during their 1:1 Soul Play Healing Sessions to play with getting comfortable in their discomfort. I’ve found that growth and inner change can take an immense amount of courage and strength. I had to really dig deep and go within to make the shift to where I was being led. I found myself struggling to try and be creative. I felt a pull to keep going down the same path I was going before Patti’s death. It was difficult to truly let go and surrender to the present moment. I was being guided to be of service. Period. No creating, no pushing, no doing. This was genuine…this was real….this was living authentically. So how can our souls play with living authentically when life has other plans for us? I realized I didn’t have to look for content to write about, I was actually living the content… living the story so I could write about it later. As we go through life and fully participate, the content is always there. Living the most authentic life possible continues to be a daily aspiration for me. Even when life has other plans! What does living an authentic life look like and feel like to you? What do you do when life has other plans for you? YOUR AUTHENTIC SELF IS YOUR SOUL MADE VISIBLE. I haven’t been home on a weekend in almost three months. Traveling to Minnesota, Norway, Chicago with side trips in between. All of it really great stuff….just a lot of it. I had intended to write a blog about traveling to Norway and my ancestral lineage, but it was coming out in bits and pieces and just wouldn’t flow. I played with my resistance, got comfortable with my discomfort and then realized I was in my old pattern of pushing. Instead of writing my blog and having it be fun, it felt like a “project.” So, I consciously made the decision to abandon my “project” and lean into the tools that I teach ~ Soul Play. When I graduated from high school many moons ago, the most popular jobs for a woman were that of a court room reporter, a nurse, a teacher or a flight attendant (aka a stewardess back then). Being a flight attendant was quite glamorous back in the day (it has many perks today as well). Although I loved to type, teach, care for people and travel, none of those positions was the path I chose. I’m Curious, have you been experiencing this too? One of the many things I continue to find fascinating about my work is there is always a running theme with my clients and myself included. For example, if someone is challenged with speaking up, it shows up as a core issue for most everyone that month…or perhaps people are digging deeper to feel more joy and purpose in their work. They are grateful for their job but something is missing. I see very clearly how we are all “working on” (or as I say “playing with”) similar challenges in our lives in different ways. Most recently the theme has been one of inner conflict. I will use myself as an example. Part of me wants to do this…another part of me wants to do that. Something feels good but there is still a feeling of being on the fence or torn. I have a deep desire to free myself of some habit or belief and yet I am also hanging on for dear life. It’s that time of year. Tomorrow is officially Summer Solstice and the first day of summer. With this new season comes new energy AND more time to play! Sadly, she is not alone. So many of us have forgotten what it’s like to actually play and feel the freedom to do so. Can you relate? In many ways society conditions play out of us. We are often taught it can’t be all about you, follow the rules, don’t be too much, don’t ask for too much, be good, do it the right way and all of the shoulds and coulds. What Makes Your Heart & Soul Sing with Delight? It’s that time of year….Spring is in the air! The birds are chirping and the flowers are blooming. It’s as if all of nature is delighted to emerge after a long slumber. Springtime is delightful! It is a time of rebirth, new beginnings and new growth. I was blessed to spend Easter weekend with an “almost 5 year old.” (He told the lady at the grocery store that he is “technically 4”). Being in the presence of a child always teaches me about living in the present moment. I was excited to see the delight in Michael’s face when he would spot a squirrel in the park as he ran from one huge oak tree to another. Or making up imaginary games on the spot. When he scored a goal for his soccer team or when he found the golden egg in his Bibi’s back yard during the annual Easter egg hunt. His sound of sheer delight made my heart sing! It’s been a challenging 6 weeks….I’ve found myself having to do things that I resist because they’re really not that fun for me. Taking care of tax stuff, calling around and shopping for health insurance, refinancing my condo and the learning curve that comes with the process. I’m glad I persevered because the process was actually empowering. I didn’t give up, I asked for and got the support I needed, and it was refreshing to stay centered and in flow throughout the projects. The icing on the cake was when I received a call from one of my best friends from middle school. Her Dad just had a massive stroke. This man was such a big influence in my life and like a second father to me. Suddenly everything started whirling around and I found myself in between two worlds ~ one foot in real life and the other holding space for someone I cared about whose life in physical form was coming to an end.